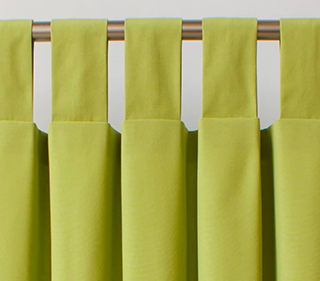 Tab top panels are also continuous panel which have tabs or loops on top of the fabric, the curtain rod or pole is slipped through the loops. They create a more of relaxed look and it does work good with casual furniture. They are easy to fit and hang straight down. There are wide range of colours to meet customer needs. Even these require less fabric and these curtains are economical.